needed for rimless plastic drum. Also recommended when handling a fiber drum. 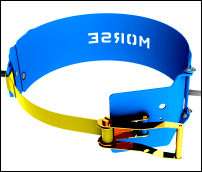 Diameter Adaptor for handling a smaller drum. 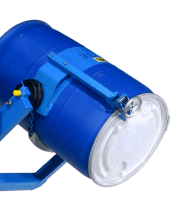 Heavy-Duty Hydra-Lift Karriers provide controlled dispensing of your drum. with battery power lift and tilt. with air power lift and power tilt. with AC power lift and power tilt. with AC power lift, but manual drum tilt control. with air power lift, but manual tilt. 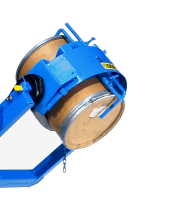 Safe drum handling requires well-designed, ergonomic drum handling equipment to reduce risks of injury or property damage. 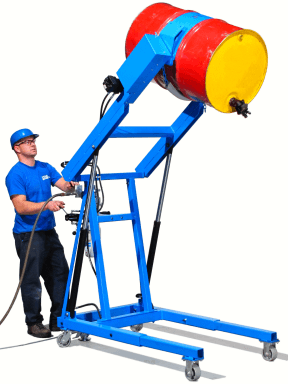 Heavy-Duty Hydra-Lift Drum Karriers combine incredible strength with simple drum handling by one person. 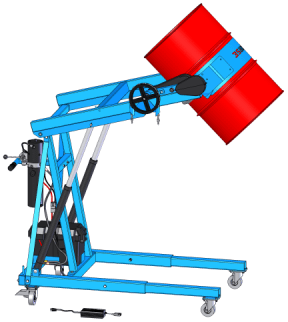 With Heavy-Duty Hydra-Lift Karriers you can lift a 1200 Lb. 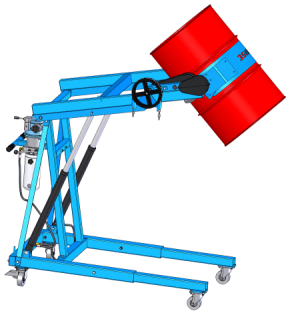 (545 kg) drum, and turn it 360 degrees in either direction to pour up to 72" (183 cm) high. 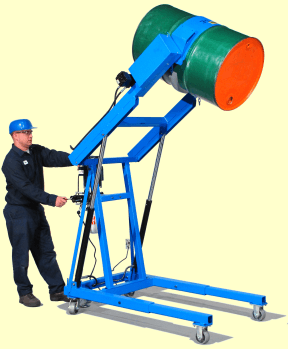 Drum carriers are available with battery, electric, or air powered lift and tilt. 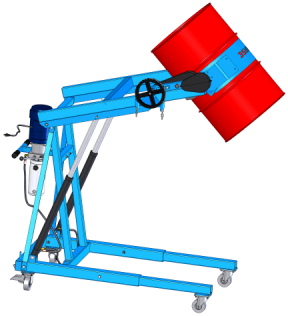 The MORStop Tilt-Brake is included on all manual tilt Heavy-Duty Hydra-Lift Karriers to automatically prevent uncontrolled drum tilting. 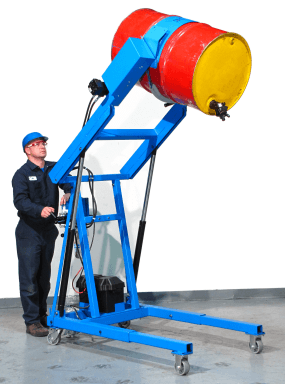 * Half-full rating of Heavy-Duty Hydra-Lift Karriers is an indication of capacity for tilting an unbalanced, bottom-heavy drum. A partially full drum with unbalanced and shifting load is harder to tilt than full drum. ** Models with 12V DC power include battery and 110V AC charger. Drum dumper on wheels to lift, move and pour drum. 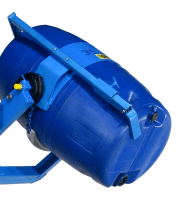 With Morse heavy-duty hydra-lift drum dumpers you can lift your drum weighing up to 1200 Lb. and control dispensing at up to 72" high.